ORCHARD PARK, N.Y. -- Derek Anderson will start at quarterback for the Buffalo Bills on Sunday against the Indianapolis Colts, coach Sean McDermott announced Wednesday. McDermott said rookie quarterback Josh Allen has an elbow sprain and will not play Sunday at the Colts. McDermott added there is no plan for Allen to have surgery. 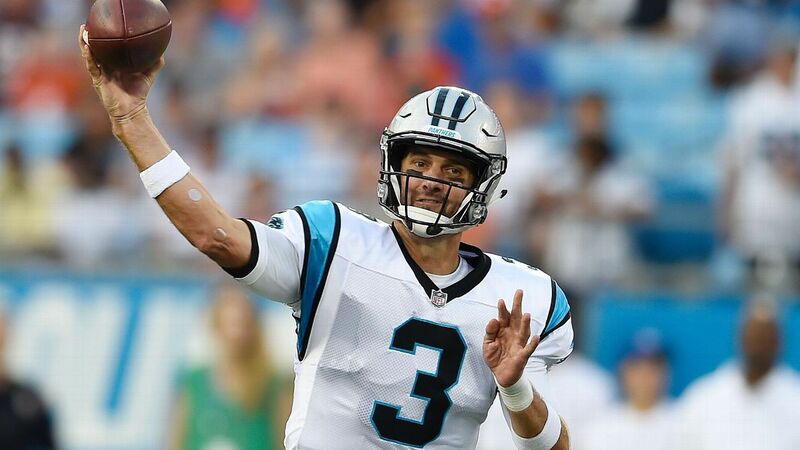 Anderson, 35, signed last week with the Bills after spending seven seasons as the Carolina Panthers' backup quarterback. "Derek is a guy I worked with in Carolina," McDermott said. "He brings experience, leadership presence to the table and he's worked hard over the past week to get up to speed." McDermott said he had a problem with the hit by Houston Texans linebacker Whitney Mercilus that injured Allen and has addressed it with the "powers that be." However, McDermott declined to elaborate, saying, "I've learned my lesson from Mike Tomlin."